I like making breakfast, it is usually one of my favorite meals to eat. But I never like to spend a lot of time making breakfast. I will spend hours preparing, cutting, and cooking dinner, but breakfast needs to be quick. 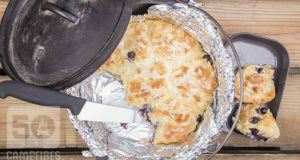 Dutch oven Breakfast Burritos fall in this category. 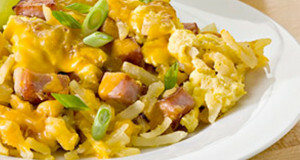 They are easy, hearty, feed a group and make a divine tasting breakfast. 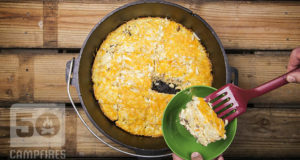 These Dutch oven breakfast burritos have everything I am looking for in a breakfast from bacon to eggs and hash browns. 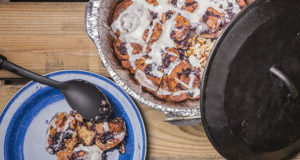 But they also give you some flexibility, offering the members of your group or family to choose toppings or sauces they want included in their tortilla, instead of subjecting everyone to it. 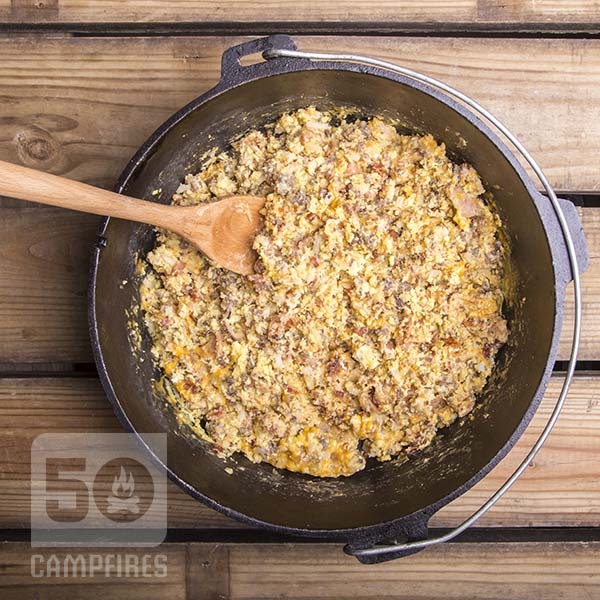 Although this recipe is easy to make in its entirety at the campsite, there are a few preparations you can do at home before you hit the campsite such as having the bacon and sausage already cooked. 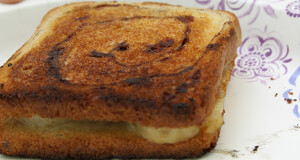 I originally found this recipe on a great cooking blog, called Memories By The Mile and have made a few minor adaptions. 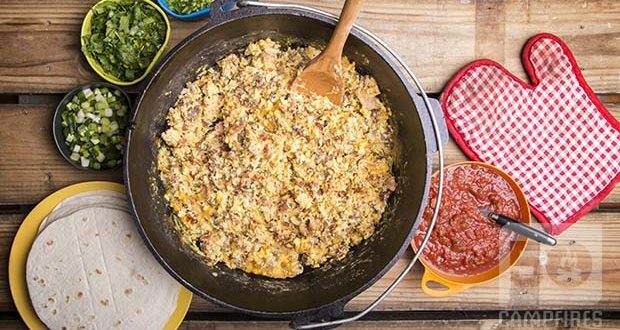 Over the past summers camping trips I have made these breakfast burritos in my dutch oven multiple times and they continue to be a hit. This is one of those great recipes that tastes like you slaved away to make it, but really just took a few minutes and a few ingredients. 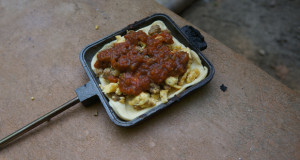 Another great thing is by providing ample help-yourself garnishes you can let your campers make their breakfast burritos just how they like them. Chop bacon in bite size pieces. Cook bacon and sausage in dutch oven that is around 250 degrees. Usually takes about 10 minutes. 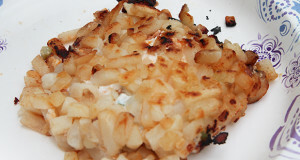 Add hash browns, cover dutch oven and cook for 10 minutes. In a separate bowl beat eggs. Add to dutch oven mixture. Let cook for 5 minutes or until eggs are no longer runny. Stir in cheese to the burrito mixture. 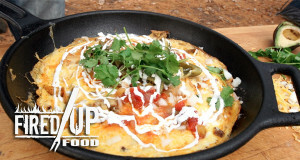 To serve, add a couple spoonfuls to a tortilla, put additional toppings on and roll up. 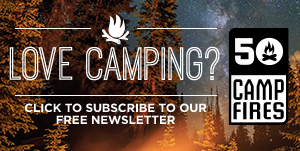 Memories By The Mile, is a website ran by Wanda Ann, she has some really great recipes, some of which can definitely be adapted for camping. See them here.